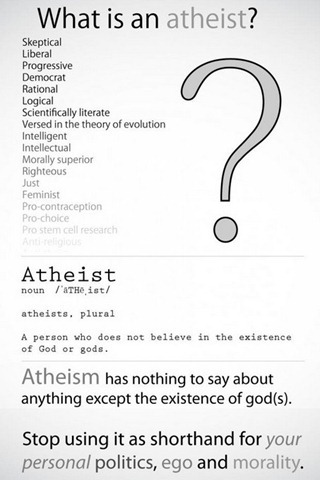 It is simply the most inclusive definition, which means it covers such a wide variety of people (literally any human who doesn’t believe in any gods) that no other characteristic can be insinuated against atheists *in general* that is not also true of *humans* in general. We cannot be defined by any doctrine or dogma, so we have nothing to defend. We simply do not believe. It sets the burden of proof firmly where it belongs, in the laps of the theists. The tactic of trying to shift the burden of proof away from themselves is such a common tactic, that the usage of the minimalist definition of atheist becomes a *strategic* tool that can be used to great advantage, from the small to the large. quick question; is it okay to assume that all atheists are scientists? Very simple, and therefor powerful. A great way to frame it.